Lovable and dirty-minded, Kenny comes from the poorest family in South Park and is often ridiculed for it by his friends. 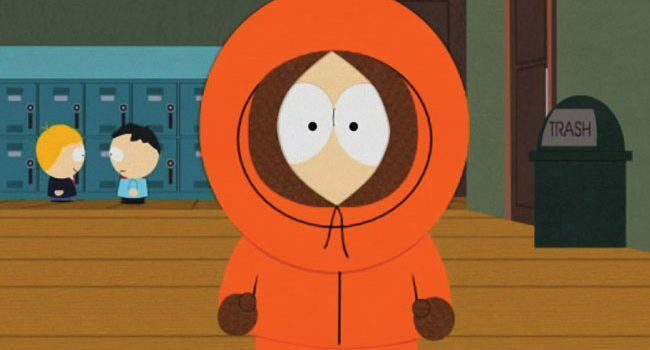 Because of his tightly zipped up coat and hood, Kenny’s voice is very muffled and often hard to understand. However, the character’s trademark is indisputably his incessant habit of being brutally killed over and over again. 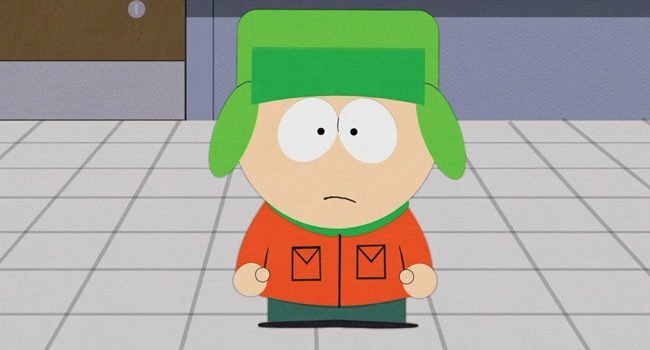 Kyle Broflovski is the undeniable moral voice of reason in South Park. His end-of-episode wrap-up speeches about “what we’ve all learned today” have become a running joke in the show, with most characters sick of his preachy and holier-than-thou attitude. Still, Kyle always tries to do the right thing, not matter how often he is scoffed for it. Randy Marsh is the goofy and eccentric father to Stan Marsh. A geologist by trade but an alcoholic mischief-maker in his free time, Randy often finds himself caught up in whatever shenanigans his son and his friends are busy with, only to a more passionate degree and with the resources of a financially stable adult man. Put a pencil and a pen or two in the pocket protector to achieve full Randy accuracy. Arguably the most “normal” of the main South Park four, Stan Marsh has often served as the voice of logical reason throughout the show’s many seasons. The town of South Park’s well-being is constantly being terrorized by one threat or another, and when the town’s adults are too oblivious (or drunk) to do anything about it, Stan and his group of friends are left to reluctantly save the day. For Stan’s pants and shoes, any blue pants and black shoes will do the trick. In South Park, Reality is personified as an accented magician who comes to destroy people’s Internet safe spaces and give them tough love on life. In South Park, Professor Chaos is the alter ego that Butters takes on after he’s exiled from the crew for being too uncool. As Professor Chaos, he spreads discord in the world by doing things like spraying aerosol cans to destroy the atmosphere, and no doubt wasting lots of aluminum foil. In South Park, Eric Carman is an aggressive, manipulative, and emotionally unstable boy. Like his huskiness, some of it can be explained by his permissive mother, who let’s him get away with murder.